We invited some of the many scholars, artists, and students who worked with Professor Gossett over the years to share some of their memories. We have assembled them below, and will be adding more over time as contributions are submitted. The American Rossini Society thanks all who participated and we hope the following will help convey the important of this great American Scholar. [I]t was at that moment that I realized that his legacy would never leave us, and that’s why I still want to thank him, I am sure he can hear me. Ho avuto il piacere di lavorare con Philip moltissime volte (indimenticabili le ore passate assieme su qualche manoscritto, o autografo, rossininano), ma ricordo con particolare affetto il nostro primissimo incontro; in quella particolare occasione, lavoravamo entrambi nello spettacolo “All’idea di quel metallo”: lui vestiva i panni di un narratore ed io, assieme ai miei colleghi, davo vita ai personaggi descritti. Ho avuto così la possibilità di conoscere, oltre all’insigne musicologo, anche l’ “amico Philip” e di essere contagiata dalla sua passione per la filologia e per lo studio ragionato dei manoscritti. Una lezione che perdura tutt’ora. Siamo rimasti sempre in contatto, fino quasi agli ultimi momenti a Chicago, dove l’ho visto ed abbracciato per l’ultima volta… Certo: il suo corpo soffriva ma la sua mente era sempre vigile, pronta ed entusiasta della vita; è stato in quel momento che ho capito che la sua eredità non ci avrebbe mai lasciato e, per questo, voglio ancora ringraziarlo, certa che mi possa sentire. Ciao Philip, grazie ancora di tutto ed arrivederci. I had the pleasure of working with Philip many times (unforgettable hours spent together on some Rossini manuscript or autograph), but I remember with special affection our first encounter; on that particular occasion, we both worked in the performance ” All’idea di quel metallo”: he was dressed as a narrator and I, along with my colleagues, gave life to the characters described. So I had the opportunity to know, in addition to the respected musicologist, also become a ‘Friend of Philip” and to be infected by his passion for philology and the reasoned study of manuscripts. A lesson that continues today. We were always in touch, almost to the last moments in Chicago, where I saw him and hugged him for the last time … Of course: his body was suffering but his mind was always vigilant, ready and enthusiastic about life; it was at that moment that I realized that his legacy would never leave us, and that’s why I still want to thank him, I am sure he can hear me. Arrivederci Philip, thanks again for everything. Over the years, as my obsession with Rossini grew, Philip was a constant source of knowledge and advice. Whether it was the “lieto finale” of “Otello,” or the new critical edition of “Le comte Ory,” Philip was always ready with advice and, more importantly, encouragement. The first time I “met” Philip Gossett was as an undergraduate at the New England Conservatory of Music. I was taking a wonderful class called “Beethoven and Rossini,” and while the literature on the German master far outweighed that of his Italian colleague in volume, Philip Gossett’s writings on Rossini (particularly an essay he wrote, taking apart and analyzing the “Rossini overture” form), went a long way toward righting the imbalance. Years later when I was making my first, naive attempts at reconstructing Franco Faccio’s forgotten 1865 opera “Amleto,” I was living in Chicago, and many friends suggested I get in touch with Gossett in person. He replied almost immediately to my e-mail (something he did every time I wrote him, no matter where he was in the world) with several suggestions and an invitation to meet him and show him my work. He had one of the most beautiful houses I’ve ever seen, situated on a quiet street in Hyde Park. A multi-level brownstone, exquisitely decorated, and filled with books. I had never seen so many books, and scores, and manuscripts. It was like something out of “The name of the rose.” Philip was generous with his time and knowledge, carefully looking over my transcriptions, and answering the many questions I had on 19th century Italian penmanship. He was quite enthusiastic about the entire project, and helped me for many years in seeing it to completion. Not long after, his seminal book, “Divas and Scholars” was published. It changed the way I, and many others performed and thought about the bel canto repertoire. It should be required reading in every music school and Conservatory. Over the years, as my obsession with Rossini grew, Philip was a constant source of knowledge and advice. Whether it was the “lieto finale” of “Otello,” or the new critical edition of “Le comte Ory,” Philip was always ready with advice and, more importantly, encouragement. When “Amleto” finally saw the light of day in 2014, he generously donated an essay to our program book. My last meeting with Philip was in January of 2015. I was preparing to do a production of “Tancredi,” an opera I know that was especially close to his heart, since it was he who rediscovered the tragic finale, and had it reinstated in its proper place. For over an hour he talked about the most fascinating details of the score, remembered letters of Rossini, and even sang a few bars of Roggiero’s aria. The news of his passing, while not a surprise, was intensely painful for many in the opera world. Oftentimes he did the work of twenty people. While his important work will go on, the man will never be replaced. He worked with editors so that their edition would be the best it could be. He worked with singers so they could express the music to the best of their abilities. He worked with conductors and stage directors. He loved opera, and he lived his life operatically. The article cited for the above quotation goes on in great detail about the responsibilities of an editor-in-chief, the person who is the one responsible for the overall editing of a publication. Philip Gossett was a superb editor-in-chief. It was my privilege, my joy, and sometimes my frustration to have been his official assistant on the Rossini critical edition for twenty-six years and unofficially for over five more, until his expected but unwelcome death in June 2017. I first met Philip and Suzanne Gossett in late 1972 or early 1973, when my husband Charles Brauner and I had moved from Connecticut, where we both had studied musicology at Yale, to Chicago, where my husband—called Chuck—had been hired at Roosevelt University. We were brought together by mutual friends who had known Philip and Suzanne from New York and us from New Haven. “You must look up the Gossetts; he works on Rossini”; Chuck worked on Bellini. We soon became close friends. The Gossetts’ younger son is the same age as our son, and family get-togethers developed into hiking and camping trips. Chuck and I visited the Gossetts while they were living in Rome. We knew they went to Pesaro every summer, where Philip worked both with the Fondazione Rossini and the Rossini Opera Festival (ROF). When he returned from Pesaro in September of 1985, as I remember it, Philip said to me that the wife of the president of the Fondazione thought Philip was working too hard on the edition and needed an assistant, and funding had been arranged. Philip invited me to take on the job. My function would be to proofread the scores as they were submitted by the volume editors, to be sure they conformed to the style rules of the edition and were accurate before Philip, as General Editor, considered them. And the first thing he taught me was how to proofread opera scores. Philip’s method was surprisingly mechanical. It is not at all like proofreading the text of a piece of prose, because the symbols in a musical score convey a complex array of information. He broke the process down into nineteen elements, and each element required a separate pass through the manuscript, looking only at that element. I present them here, as instruction for those who have little idea what we mean by a “critical edition” and the work that goes into one, and as a reminder for the many students and scholars who made editions under Philip’s editorship of what an incredible process that was. We start with a “manuscript” edition of an aria, ensemble, recitative, or overture prepared by the volume editor. In the 1980s these were indeed handwritten by the volume editor, in pencil so that Philip and I could make corrections easily. At the end of the 1980s, music-writing software became available, although Philip resisted the programs stalwartly, having no interest in learning to use them himself and not wanting anyone or anything but himself to be the last to make changes to a score. Here is the list of the nineteen elements, as I presented them to the volume editors and to the graduate students who worked as research assistants at The Center for Italian Opera Studies at the University of Chicago. For each element, you read through the entire piece looking only at that element. Page, measure, and rehearsal numbers. All correct and in the right place on the page; rehearsal numbers above the musical system and above Vni i. Final measure with number at final bar line. System division lines: each page with more than one system of music requires // between systems. Check the names of the instruments on each page, especially the indications for transposing instruments: Clarinetti, Corni, Trombe, Timpani, etc. Format: Cl. / in Sië etc. Clef, key signature, meter sign: no key signature for Cor, Trb, Tp (but for Tp in a flat key, indicate all the necessary accidentals in the music). Check all changes of clef (Fg, Vc) and key signature. Names of characters (soloists): the entire name above the staff at each entrance of the part within a number; abbreviated name in the margin in successive systems. Tempo indications above the system and above Vni i; also for “a piacere,” “a tempo,” etc. Roman font indicates items present in principal source, italic = editorial additions.2 Tempo indications: first word capitalized; if it is an adjective or adverb, capitalize the noun also, e.g. Andante moderato, Primo Tempo, Più Mosso. Fermatas: always above the staff, centered over the note or rest, in every part including those with whole rests. Every pizz. needs an arco, every divisi needs a uniti. Stems (double or a 2): a 2 replaces double stems if two or more in succession. For pairs of instruments, a 2 or editorial a 2 appears on each system, wherever the part enters (i.e., either at the beginning or after initial rests). Dynamic signs extended to all appropriate instruments (those with the same musical motives), and also to Chorus (but not soloists). Parts entering after the beginning of a new dynamic level need one added. Accents go with note heads. Hairpins below the staff in instruments, above in voices. Every staccato dot should be verified. Extend where appropriate. They go with note heads. Slurs and ties present, extended, equal. Check slurs and ties that continue to a new system—both halves in the same direction. Triplet indications present when necessary, usually with the stems. In long passages entirely in triplets, only the first measure needs the signs. Unbeamed triplets get a bracket with 3, above the staff in the vocal line, but depending on stem direction in instrumental lines. 3’s should be in or out of the slur consistently, according to the source. A repetition must be exactly the same as the original passage. Rhythm: the correct number of beats in a measure, aligned, rests properly positioned on staff. Pitches: check for wrong notes, incorrect or missing accidentals. Tied notes don’t repeat accidentals across bar lines, but they do repeat accidentals at the beginning of a new system. Read the score. Does it function? This the first element that really thinks about the music. Compare with Rossini’s autograph. This is the most interesting part, and it is at this point that the critical commentary comes into use. Any difference between Rossini’s autograph and the critical edition must be explained in a Critical Note. Then, when the score was made to conform to all this, Philip considered the volume editor’s decisions. There could be discussions, but rarely did an editor prevail over the general editor’s judgement. Philip also generally found little errors that had been missed in the preliminary proof-reading. He had such a keen eye and fluency in score-reading. As Philip’s assistant, I spent every August from 1987 to 2005 with him in Pesaro, working on the volume to be published that year and working with the ROF when a new edition was being performed, since the best proof-reading is done in performance. An example will illustrate how this might happen. In 1988 the ROF presented the first production of Michael Collins’s provisional edition of Otello. Chris Merritt had the title role, and one day during the rehearsal period he turned up at the Fondazione, score in hand. “Are you sure about this note?” he asked. “It doesn’t feel right in my throat.” We looked at the autograph, and sure enough, the note wavered between being on a staff line and being in a space. Neither reading was “wrong,” but the singer’s physical familiarity with Rossini’s music led us to reverse our editorial decision.The volume editors would be working on adjustments as Philip handed them down. It was an amazing experience, being part of that team. The pace of work was intense. Long days working on an edition, nights attending performances and parties afterwards. Philip set the primary example. He was always at work before anyone else. He didn’t take coffee breaks (although he was known to lie down on the floor for a nap, sometimes startling a visitor, who feared the worst). Occasionally Philip would call us all to the piano and play (and sing) a problematic passage with different possible solutions, asking which we thought was better. On the other hand, Philip was not unknown to chide or berate those who worked with him. He would shout, slam his hand on his desk, even jump up and down. But as one Rossini fan who knew Philip for years recently said to me, “Philip was so passionate about his work. If there were difficulties, it was because of that passion.” He was generous in sharing that passion. He worked with editors so that their edition would be the best it could be. He worked with singers so they could express the music to the best of their abilities. He worked with conductors and stage directors. He loved opera, and he lived his life operatically. Philip wrote in the preface to his book that he and I had been “talking about Italian opera for twenty years.” I think in his first draft he wrote “arguing,” or maybe that is just my mental edit. We talked about every aspect – from the justifications for adding an editorial flat or sharp in a score, to the qualities of this or that singer, to the influence Bellini on Wagner and everybody on Verdi, to current theater politics and fee levels – but most avidly, about anything either of us thought the other had gotten wrong. One thing he got wrong was “twenty years.” At that point (2005) it had already been twenty-four, and it went on until just a month before his death – thirty-six years in which very few months went by without some lively exchange. That’s a long argument, with never a dull moment. It started in 1981, when I was just out of college and was working as one of the world’s thousands of anonymous freelance pianists. I was interested in old recordings and thought they pointed in some directions that the “performance practice” community was missing. Philip was already a superstar musicologist, and eager to devour any new contribution that had to do with Italian opera. So even though I had no credentials or training, he read what I sent him about period ornamentation in Verdi, debated various points, and helped get it published. A little later, when I went to work for the New York Times, and later still when I switched to opera conducting, we saw each other regularly at conferences, performances, or each other’s homes, and corresponded constantly. Sometimes the arguments grew sharp, because we were both combative advocates for our points of view, but we always knew we were playing for the same team, and always enjoyed sharing information even more than correcting each other. But there’s no question we enjoyed the correcting part: if you’re a young newcomer to the field and the world’s best musicologist takes the trouble to correct you, you feel pretty good (and you learn something). And if occasionally you get to correct him, you feel really good. Along the way, Philip found time to be a key participant in the opera program I started at the Caramoor Festival, advising on performance and editorial matters, giving classes for our Young Artist Program, and delivering unforgettable high-energy lectures for our public. He also set me straight when I tried something too far out in left field. Once, for a production of La donna del lago, I decided it would be a good idea to rewrite the parts that Rossini had allowed an assistant to compose; they seemed over-long and not very good. Philip’s response, in effect: “ok, his are bad, but yours are worse.” And he patiently explained why, point by point; thanks to that, our audience eventually heard much more sensible and modest revisions. By then we were close friends who could turn to each other about life’s ups and downs as well as bel canto. The high point for me was having the opportunity to go over the draft of Philip’s fantastic book, “Divas and Scholars”. For a thrilling four months or so, every long wait in an airport was an adventure instead of a trial. I loved it when a delay was announced, because it meant a few more minutes of poring over the typescript, learning something from every page, typing long e-mails of disputation where I disagreed, reading Philip’s equally detailed rebuttals and further questions. I wish I still had these – it is probably easier to track down the letters of Rossini and Verdi than those of anyone who failed to take decisive action upon switching from AOL to Gmail. One thing I tried and completely failed to do was to negotiate a rapprochement between Philip and his former colleagues at the Pesaro Festival and the Fondazione Rossini, some years after their long collaboration exploded in acrimony. Alberto Zedda had worked with Philip still longer and much more intensely than I did – but they too had their arguments, and in their case the conflicts eventually won out. When I conducted some operas in Pesaro and edited a score for the Fondazione, I made it a private mission to speak to the key players about the need for a peace agreement of some kind between the historic leaders of the Rossini Renaissance. They were guardedly receptive, but the barriers were high on both sides, and it never happened. Now Alberto and Philip have left us within the same year. Wherever they are, I have a feeling they’ve rediscovered their bond and that the arguments are still going on. For that, for innumerable acts of individual generosity, for constant stimulation and enlightenment, and for a superhuman capacity for sheer labor sustained against all obstacles and over decades, everyone who loves opera is permanently in Philip’s debt. Not one of us singing Rossini’s music today would be doing it so richly were it not for Philip’s immense contributions. 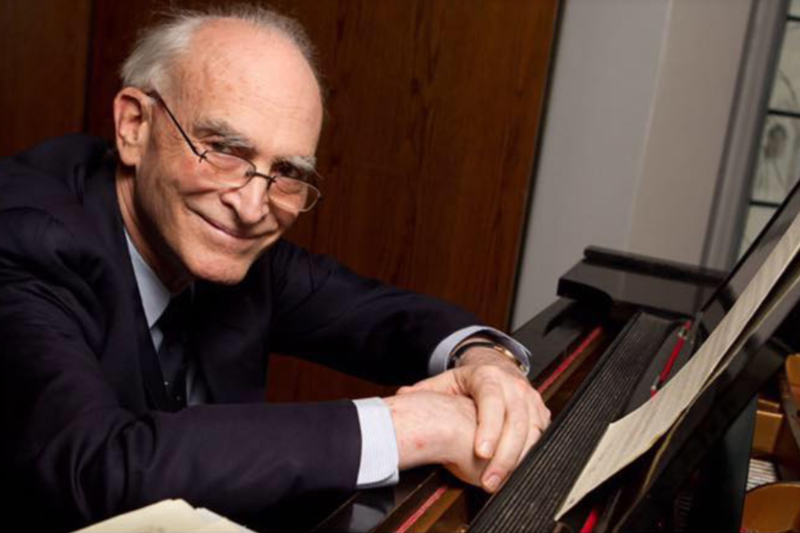 It has been a true musical gift to come into the Operatic World at a time when we singers could benefit so deeply and strongly from the lifetime of study and dedication that Philp Gossett brought to so many of us. It has felt like a real Rossini Renaissance these past decades, and to have participated in that to a small degree has been such a gift. Not one of us singing Rossini’s music today would be doing it so richly were it not for Philip’s immense contributions. How Gioacchino must have loved having his music brought into such a fantastic light! I will be always grateful for his friendship and generosity. Philip was a great friend and a precious help for my research about Rossini’s Péchés de vieillesse. I’ve just finished to record the complete Sins for Naxos, with several unpublished works, never played and recorded. Since the beginning of this wonderful adventure through Rossini’s scores, Prof. Gossett gave me some unknown manuscripts and important notices about them, sharing with me his incredible knowledge and his essential musicological work. This was until few days before his death. I will be always grateful for his friendship and generosity. His intelligence was at once strikingly obvious, his musicality and knowledge of Rossini were stunning! I first met the renowned Phlip Gossett in Pesaro at the Rossini Opera Festival, 1985. He was one of my neighbors in the apartment building where several of us were staying ( also Samuel Ramey). Phlip was in full, official “professor mode”, helping us with our now legendary production of MAOMETTO II. This was also my Italian opera debut. Philip was immediately warm, friendly and totally accessible… like an old friend. His intelligence was at once strikingly obvious, his musicality and knowledge of Rossini were stunning! From this point on… he was a dear friend. He had me to dinner at his home in Chicago several times, his boys played with my children during the Pesaro summers. His help with raising our levels of Rossinian quality was tireless and his advice was indispensable. His passing is a gigantic loss personally and to the opera world, in general. Philip was sometimes severe in condemning opinions which he didn’t agree with, but he was generous in recognizing other discoveries when they proved real. When I myself reviewed the critical edition of La gazzetta, I called into question that the missing quintet in the first act (present in the printed libretto, but not in Rossini’s autograph) was considered by him as never having been written. My conviction was that it was written and lost and that it should have been reconstructed in some way for the edition to make possible a reasonable performance of the opera. I even commissioned on behalf of the German Rossini Society (DRG) such a reconstruction from Stefano Piana for the performance in Bad Wildbad (available on Naxos CD). One day, Philip sent me the draft of an article about the discovery of the quintet, absent from the autograph score! With this gesture, he acknowledged that I was right. He even agreed to write an article for «La Gazzetta» (the annual journal of DRG),with a detailed analysis of the piece, comparing it also with the reconstruction of Stefano Piano, which he found very well done (but, of course, not of the astonishing and superb solutions of Rossini) and he admitted that my former arguments about the supposed existence of the composition were right. Philip was sometimes severe in condemning opinions which he didn’t agree with, but he was generous in recognizing other discoveries when they proved real. Without him I would probably never reached the position I’m in. I met Philip Gossett when I was a student of Composition at the Conservatorio G. Verdi in Milan and of History of the Music at the Università statale in Milan. Azio Corghi, my professor in Composition, who was editing the volume of L’italiana in Algeri introduced me to Philip in a hot summer in Pesaro. Italian Opera of the Nineteenth century was my strong passion and I wished to cooperate with Philip and his staff in the great work they were doing on discovering Rossini’s opera and publishing the critical editions. The first approach astonished me: Philip was calm, welcoming, gentle. He immediately asked me to join his staff and to begin the cooperation by correcting music proofs. Days and days passed in re-reading proofs of Guillaume Tell and other titles, a lot of time spent in discussing philological problems, in evaluating the musical sources, in listening the rehearsals of the opera that were perfomed during the Rossini Opera Festival. Philip made me self-confident in my job, he trusted me allowing the honor to work with him, inviting me as part of the Editorial Board of the Fondazione Rossini and as editor of a Rossini’s Cantata, and years later assigning to me the critical edition of Un ballo in maschera in the series Works of Giuseppe Verdi. Without him I would probably never reached the position I’m in. For one of the life’s cruel joke we found ourselves in opposition when Philip decided to continue his work on Rossini with another publisher. We had pain, anger, grudge. But in some private correspondence we always found the way to send a kind word to each other, coming out form our deepest affection. The inspired work of Philip will continue to inspire generations of singers and insure the continued survival of this music and assure its place in the standard repertoire of every opera house. Long live your incredible musical legacy and all those it touches. My fondest and most vivid memories of Philip were from my time with the Pesaro Festival’s Academia Rossiniana while preparing the role of Assur in Rossini’s Semiramide. During that time I heard performers such as June Anderson, Sam Ramey, William Matteuzzi, Bruce Ford, Chris Merritt, Daniella Dessi, Patricia Schuman and others of which I hadn’t ever heard the likes of before. The technical level that these talented/gifted singers performed at brought new light to the repertoire of Rossini reigniting interest in some of the lesser performed works. It was a renaissance of sorts for Rossin’s music and and the level at which they were performed. This renaissance was due in large part to Philip Gusset’s work for the festival through the Rossini Critical Editions. During an age of production values and stage directors, the Rossini festival revealed how gifted singers, well versed in historical style and tradition could transcend any and all limitations of the stage and heighten the drama through sheer attention to detail in Rossini’s Music. Philip, his insights, dedication, musicianship and humanity, along with Maestro Zedda’s keen ear for singers brought their collaborative efforts to the Rossini Critical Editions making it a must have for every singers library, and their performances a must see for the entire opera world. Philip’s ability to craft cadenza’s, and ornamentation was beyond gifted. Sometimes the teacher sometimes the student he always took into account each singers individual strengths exploiting them in Rossin’s music. He pushed the envelope of Bel Canto Style keeping Pesaro atop of the World Class opera festivals. I will be forever grateful to Philip for his time and efforts insight work I did with him on Turco in Italia, Semiramide, La Cenerentola, Il Barbiere di Siviglia, and Maometto II. The coaching, encouragement and support he afforded singers was returned to him tenfold in their respect and love for what he did, and how he did it. The inspired work of Philip will continue to inspire generations of singers and insure the continued survival of this music and assure its place in the standard repertoire of every opera house. Long live your incredible musical legacy and all those it touches. Philip Gossett will be so missed by those of us who love Rossini. Phil helped me with all the Rossini I did with the exception of William Tell in 1972, as I did not know him or about what he was doing. At that time I went to the Biblioteque at the Paris opera to research Guillauime Tell and Meyerbeer’s L’Africaine. He often came to New York for my performances. For a performance of Anna Bolena which I conducted with the San Diego Opera in 1985 he gave me a duet for Anna and Percy which was not in my score. Phil was such a great inspiration for he really loved what he was doing. RIP my friend. You are missed. I first met Philip when I started appearing at the Rossini Opera Festival in Pesaro. My first time was the second year of the festival. This was a fantastic time for the festival as Philip was there working with his musicologist colleagues Bruno Cagli and Alberto Zedda at the Rossini Foundation. They were putting together the critical editions of all the Rossini operas and as they finished them they would be produced at the ROF. I remember many pizza meals after performances with Philip. There were always many stories about singers, conductors, directors, etc. The best story had to do with how all the music for the opera IL VIAGGIO A REIMS was discovered. Noone could tell these stories like Philip. RIP my friend. You are missed. I can not thank him and his legacy enough for educating the broader public about he joy of opera and the enlightening transformation that only this art form can bring. The first time I met Mr. Gossett could not have been more special as I was making my debut in the hallowed La Scala as Belfiore in the famous Ronconi production of Viaggio a Reims. )He) could not have been more helful or more enthusiastic towards me. He didn’t care that I was green and truly knew nothing of style or for that matter much of Rossini. Over the weeks of rehearsal he mentored and taught me the brilliance of Rossini’s music and I cannot thank him enough for the spark that he caused within my artistic soul and Rossini has since become the pillar of which I have built my career. I stayed in touch with Mr. Gossett and got to spend time with him a few years later while I was performing in Chicago with Maestro Muti in Verdi’s Otello. I felt absolutely honored because the Maestro and Mr Gossett had me sit at the table with them as we discussed bel canto and the music of Rossini. I had heard of Philip Gossett from the beginning of my career but I didn’t realize how much of a giant he was in shaping the modern music palette of the world. In the last years we corresponded and planned to make a concert of unknown Meyerbeer pieces but alas the project was not realized before his passing. My agent told me that withing the correspondence that Mr. Gossett had become a fan of my singing and it is one of my greatest joys to know that my singing brought pleasure to a titan of music such as Philip Gossett. Most people have heard of Philip Gossettt but few realize just how much he changed the world of opera for the better. I can not thank him and his legacy enough for educating the broader public about he joy of opera and the enlightening transformation that only this art form can bring. Everyone in the opera world truly owes him a debt of gratitude for his body of work. Without these two extra pieces that only Mr. Gossett could provide, my disc would not have been as rich! Mr. Gossett helped me tremendously with my CD Espana alla Rossini, that was assembled with the kind help of Reto Mueller. It has all the solo vocal music by Rossini that had links to Spain, whether personal or aesthetically. I had researched two songs that were not edited or unavailable via the critical editions. I wrote to Gossett asking for a piece called Zorzico and Bolero. He very generously obliged by sending me via PDF, copies in the hand writing of the maestro himself, and from Gossett’s own collection. Thanks to his help, my CD is a complete version of all the vocal chamber works by Rossini with the theme of Spain. I believe its a wholly original disc and concert project that emphasis the “Spanishness” of Rossini’s chamber music songs. Without these two extra pieces that only Mr. Gossett could provide, my disc would not have been as rich! Grazie, prof. Gossett, per aver trasmesso i segreti dello stile rossiniano attraverso la gioia della perfetta connessione con lo spirito musicale dell’opera rossiniana. “Ricordo il prof. Gossett con profonda ammirazione per la sua passione per la musica rossiniana e l’entusiasmo trasmessi durante le sue lezioni e il suo lavoro di ricercatore presso la Fondazione Rossini a chi, come me, ebbe la fortuna di ascoltarlo. Lui non esitava a condividere con noi il piacere della scoperta e la sua profonda conoscenza, derivante dallo studio attento delle fonti rossiniane. Rammento ancora i momenti in cui il professore comunicava le sue geniali intuizioni come se esprimesse un dubbio, ma che, di fatto, si rivelavano straordinarie certezze, perfettamente integrate con il complesso dell’opera musicale. Così l’edizione critica diventava in quel contesto un vero capolavoro, un atto di autentica ri-creazione musicale. “I remember prof. Gossett with deep admiration for his passion for Rossini’s music and the enthusiasm he transmitted during his lessons and his research work at the Rossini Foundation to those, like me, had the good fortune to listen to him. He did not hesitate to share with us the pleasure of discovery and his profound knowledge, stemming from the careful study of the Rossini sources. I still remember moments when the professor communicated his genius intuitions as if expressing a doubt, but which, in fact, revealed extraordinary certainty, perfectly integrated with the complex of musical work. So the critical edition became in that context a true masterpiece, an act of authentic music re-creation. Thanks, prof. Gossett, for having conveyed the secrets of the Rossinian style through the joy of the perfect connection with the musical spirit of Rossini’s work. ← Be sure to get to the Barber in October!